A view from behind the 16th green. Very sunny, but icy cold……..
11 teams (43 players) took part in this special event, which was played in windy but sunny conditions. It looks like winter has arrived, but still some players insisted on wearing summer gear. I think Kev was confused, with woolly hat, fleece and shorts. We played last tee off time and I immediately thought maybe that was a mistake, as we watched Mick Parsons hit his drive sideways towards the driving range, then Jostein Landsviks’ 3 man team behind them all had to play 3 off the tee after losing their drives! Mick is far right…..don’t think he has been here before except to visit the range toilet ! …. Again it was Paddy Kerr and his team who came out on top. 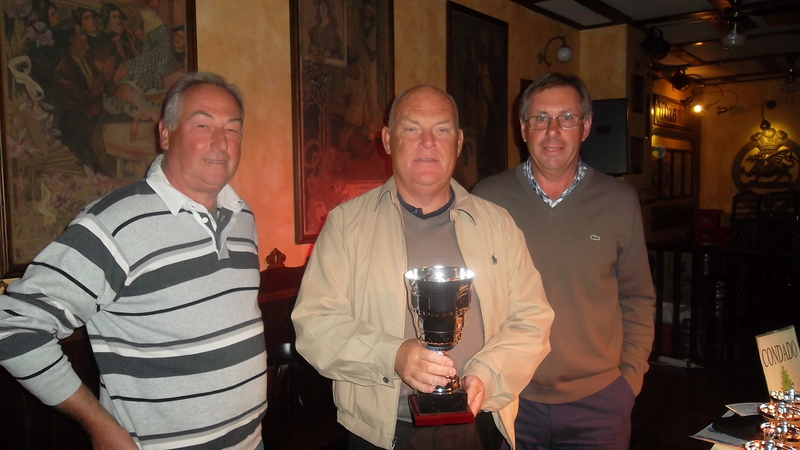 Paddy has had a great month with wins in this 4 person team event, the Apollo Air individual, 2 midweek individual roll-ups, and a pairs stableford. He is now back in Ireland, so perhaps now someone else will have a chance! unfortunately Peter was the only one available for the team photo……..
Paddy is a winner again!…………..
Only 26 players braved the strong winds which made scoring difficult in the November Apollo Air trophy. After so many entries over the last few weeks it was a surprise to have such a low entry. 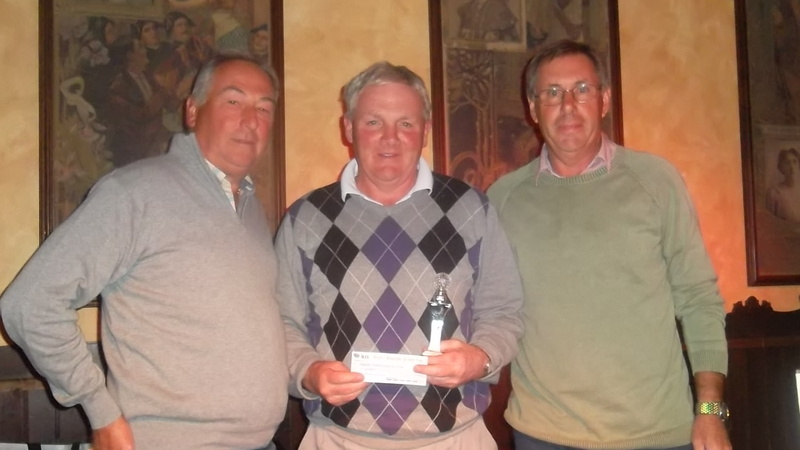 However, Paddy Kerr continued his recent run of good form to take the main prize. While there is a lack of news this week here is a photo of the IRM staff who do a great job in the shop and on the course (looking good in their Nike sponsored uniforms). We are always grateful for their help and cooperation. 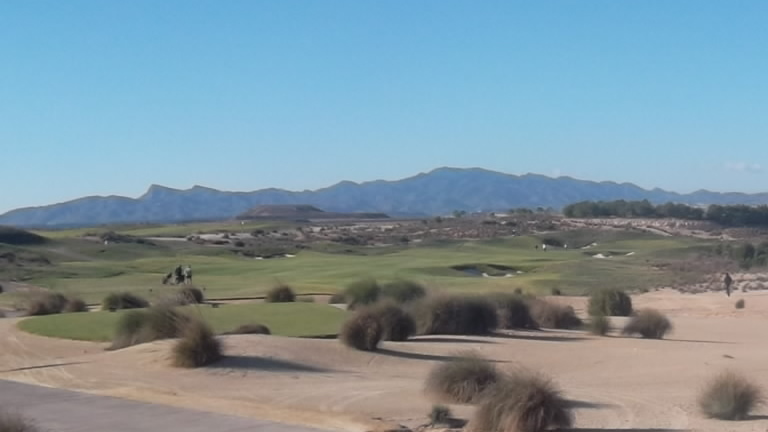 We had 4 society members in the UK v Spain challenge at Aguilon golf and I will include a report when I get the details from Dave Lloyd. Next week is the Kevin Smith 4 person team challenge (special event). 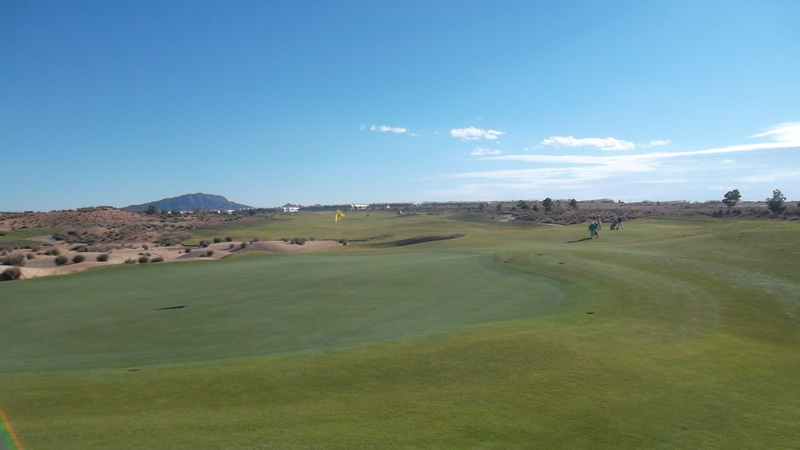 Last friday 41 members of the Condado de Alhama golf society took to the course in excellent conditions, despite a little wind earlier on, of a team yellow ball competition. We had some good scores on the day, plus some bad ones which I will obviously blame on the early wind with most teams breaking the 100 points. Astrid Leikvoll, Jacob Ole Ness, Torben Ehlers and Mette Ehlers. For further info or questions contact the Organisers, Mick Parsons or Jan Jacobsen. Next entries accepted Friday 15th November 2013 for the Apollo Air competition. This Competition will run from 1st April 2013 to 1st March 2014, and the Winner will be awarded the Members Eclectic Trophy in March 2014. The format will be Individual Stableford Points scores, taking the Best eclectic score per hole over up to a maximum of 5 Games. Only Members of CDAGS who also hold the Condado de Alhama Signature Golf Course Membership at time of Card Submission, are eligible for this Competition. Only Individual Stableford Society Organised Competitions staged on a FRIDAY can be used as competition entries. 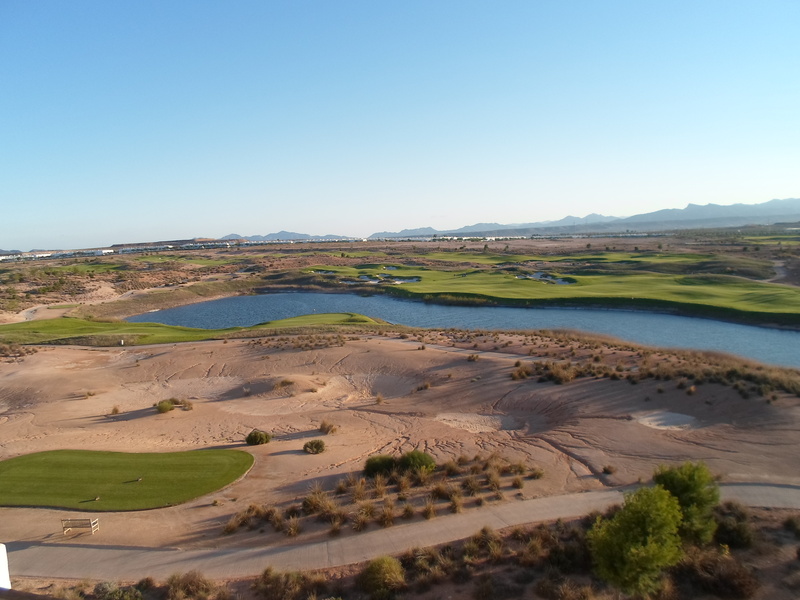 Each game will be played at Condado De Alhama Signature Course, from the Yellow /Red Tees, under CDAGS Rules, Course Rules and The Rules of Golf, and scored as Individual Stableford Points, using the Course Slope System. Players can enter the competition at any time providing they meet the requirements of this notice, it is not necessary to decide before playing. 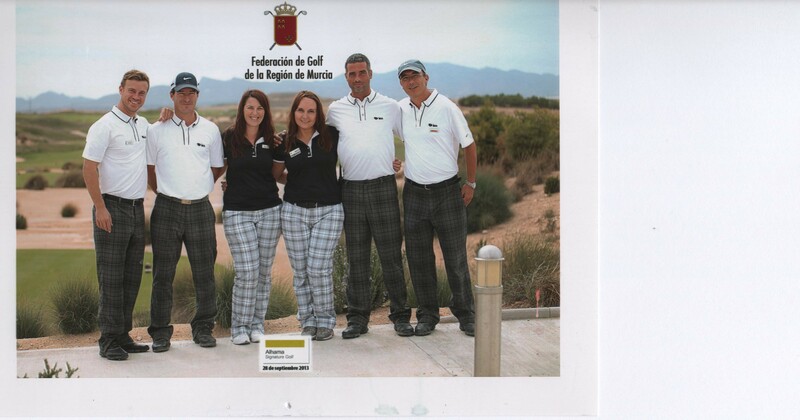 CDAGS Handicap with Condado de Alhama Course Slope applied, held on date of each game shall apply. The Winner will be the player who achieves the best eclectic score over up to 5 Games. (Stableford) If only 1 card submitted this will count, but all players can submit up to a maximum of 5 cards to improve their Competition Score. The object is to improve scores for each hole using up to 5 card returns, to achieve the Highest Final Score for the Competition. The Competition Committee will record the scores submitted and improve them. Higher scores will always count no scores will be lowered. If you consider your card is worth entering in to the Competition then you MUST hand your Card to the Golf Society after playing as for normal Society entries. (On the day of Playing) Cards Must be clearly Marked Eclectic Trophy (these will be handed to the Eclectic Competition Committee by the Handicap Secretary when Handicaps have been adjusted.) Keep a record of your card to help you decide future submissions. Jan Jakobsen & Mick Parsons ………………… If you have any questions please speak to us. 2 of our top players, Chris King & Dave Lloyd. Dave tees off on 14 after just birdying 13………. Despite the evening chill now evident since the onset of dark nights, it was reasonably warm to start the day. A lovely day again for the 70 golfers playing in pairs. As the day went on a strong wind got up, but this didn’t seem to affect the scoring. 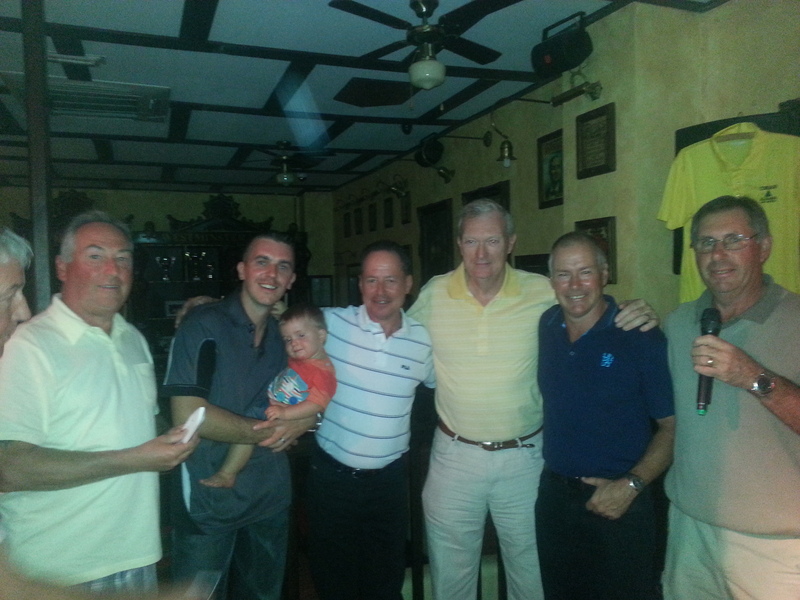 Three pairs came in with a great score of 47 pts, and the result was decided on countback. 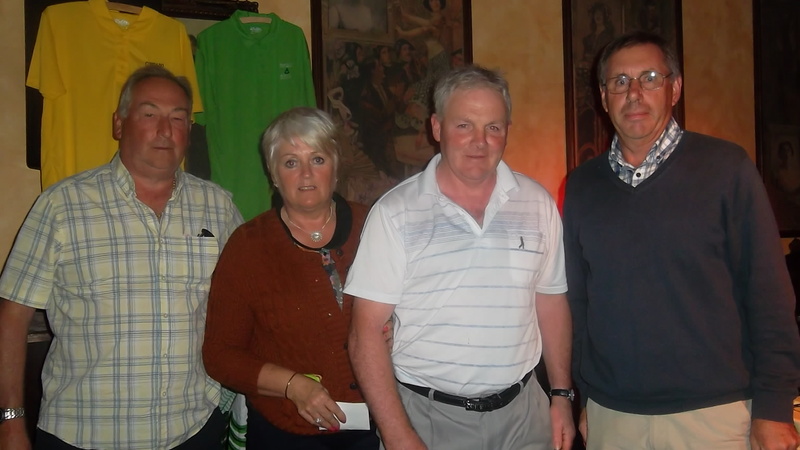 Paddy & Roisin were this weeks’ winners……..
Also this blog is being viewed more and more. Viewings for the month of October reached 8,456 (only 300 short of the record which was 8,674 in July this year). Next week is a 4 person yellow ball team event. Find below pictures of the lake on hole 11. A few weeks ago after the rains the lake was reasonably full, and we were told the water would be pumped from the lakes on holes 4 and 13 to fill the lake on hole 11. 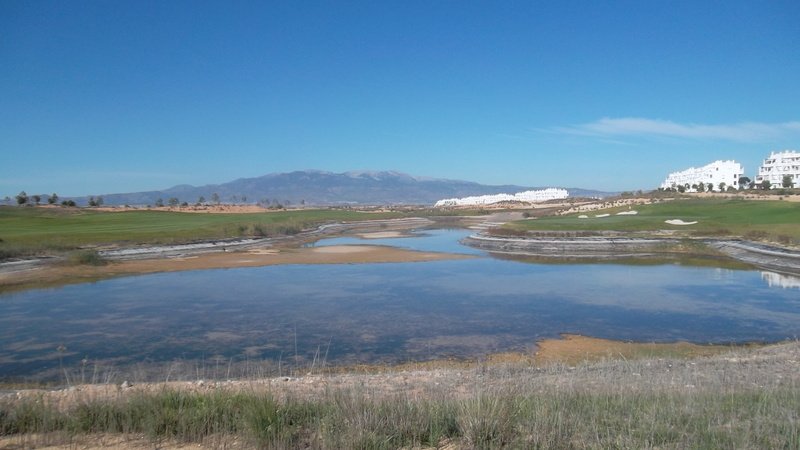 Some water was moved from 4 to 11, but this has not happened with the water from 13 (seemingly due to uncertainty over the suitability of the water quality for re-use in irrigation) . Also within a couple of weeks the water has now disappeared from hole 11 with the sand bed now exposed again. I have asked what is happening with the water level but have had no reply. Perhaps there is a leak seeing how quickly the level has gone down. I am afraid I have to go back to blighty next week for 8 days, so Kev or Phil will post the results from the yellow ball.